Well it's that time again to start getting ready for a new school year. I keep saying I can't believe summer is almost over, but it is. The school supplies, school uniforms and school clothes have all been purchased. Goodness by the time school starts I really need to pinch my pennies. School lunches is the one thing that I can pretty much control cost wise. I have one child that buys lunch at school about 2-3 times week. My son Carson he's a whole different story and only buys on pizza day which is Fridays. For some reason Carson doesn't care for the food at the new school, so he packs his lunch four times a week. For me it's essential to have a reliable lunch plan with good food and snack choices that I know my kids will eat. As a Walmart Mom I was challenged to see what kinds of lunch box supplies I could pick up at my local Walmart, and to share a few creative lunch box ideas in the process. I'm always trying out new ideas, so things don't get too boring. Carson is my peanut butter lover so I'm always on the look out for new recipes. Last week I came across this recipe for Peanut Butter & Jelly Bars from the Barefoot Contessa and I couldn't wait to try it. I thought these delicious looking bars would be perfect to test out before school started. If they made the cut than they could be added to our school lunch listing. I did adapted the recipe slightly by using natural peanut butter and homemade strawberry jam. I also omitted the peanut topping since Carson isn't a big fan of peanuts (its a texture thing). I'm happy to say the Peanut Butter and Jelly Bars were a huge hit, so on the lunch list they will go. Obviously if your child's school does not allow peanut butter you won't be sending these to school. Ours schools still allow peanut butter, but these also make a wonderful after schools snack. For lunch storage my son chose a Angry Birds lunch box priced at only $5.82. Walmart has a great selection of lunch totes and accessories. My favorite is the Fit & Fresh Healthy Food Combo Container Set. My daughter would love all those neat containers. My son on the other hand isn't quite ready for something like that yet. He still tosses his lunch box around and looses things occasionally, so the disposable containers are more ideal for him.By far my favorite disposable containers are the Rubbermaid Twist and Seal TakeAlongs & the Great Value Sandwich Containers with Snap on Lids (Found in the plastic bag & foil isle). I also splurge and get a GOOD thermos ($11-$13). The cheaper ones just don't hold in the heat really well. We pack macaroni and cheese, soups, spaghetti, goulash, fried rice and cold hot dogs in hot water. Just pack a hot dog bun and condiments and their good to go. 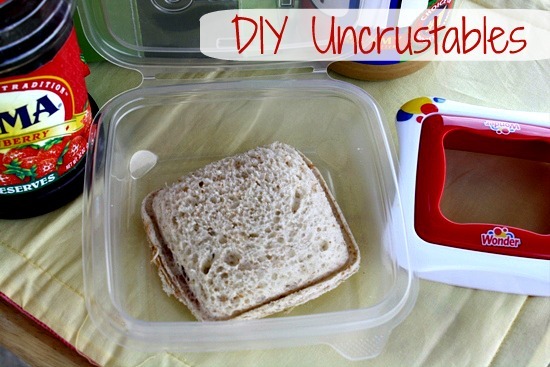 DIY Uncrustables are so much better than the store bought ones, not to mention cheaper. By far my kids prefer peanut butter jelly on wheat bread, but here are a few other sandwich combinations. Turkey or Ham and Cheese Sliders on King Hawaiian Rolls. DIY Meat & Cheese Lunchables & DIY Pizza Lunchables. My kids love fruit so we pack a lot of it. 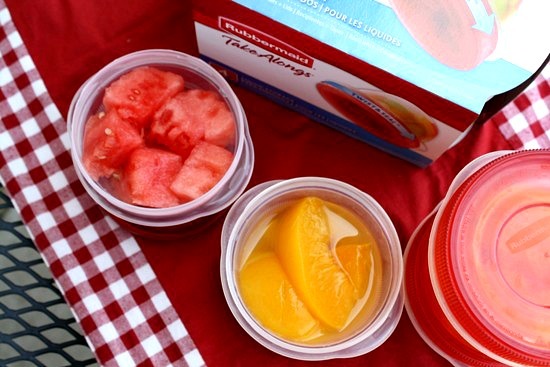 Whether it's canned fruit or fresh fruit the Rubbermaid Twist and Seal TakeAlongs are perfect. My daughter loves the packaged apples slices that you get at the grocery store, but I don't care for the price. We recently started making our own apple packets to save money. To prevent the apple slices from browning soak the apple slices in ginger ale or lemon-lime soda for 10 minutes. Remove and package into snack size zip lock bags. Make sure to get as much air out of the bags as possible before closing. My little guy loves cheese, so I usually add a string cheese or cheddar cheese cubes along with some type of fruit. We purchase the large jars of applesauce, canned fruits and yogurts and separate them into the small takealongs. I do the same with boxed jell-o and pudding. 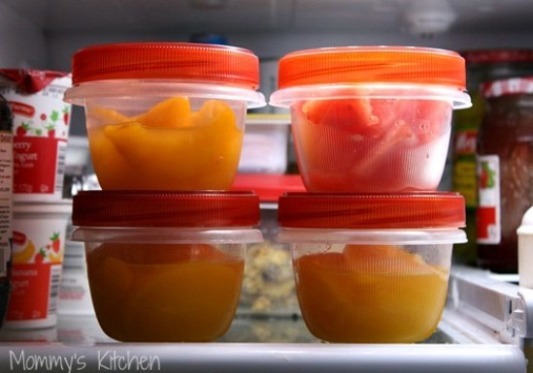 I like to prepare everything on the weekends and then just place them in the refrigerator, so they're easy to grab and toss in the lunchbox. 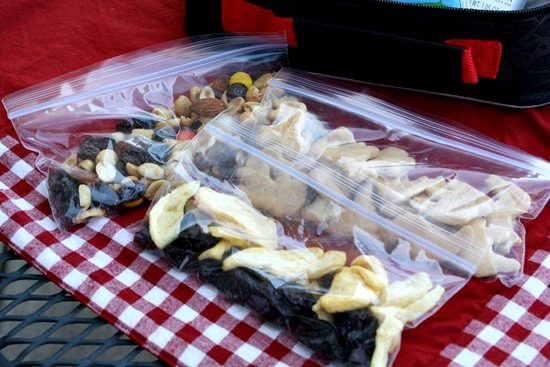 For snacks and treats we like to make our own trail mix with different dried fruits, nuts and pretzels. My daughter loves the dried cherries, so we buy a lot of those. Sometimes they can be hard to find, so grab them when you see them. 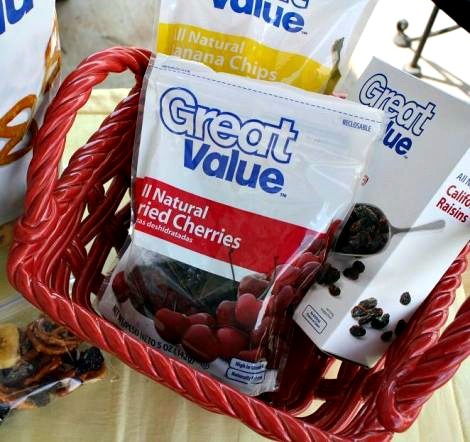 As a time saver sometimes I purchase the large bag of Great Value Mountain Trail Mix and add different dried fruits to the mix. I package it up into small snack size bags that are easy to grab. I do the same with gold fish crackers, cheese crackers, rice cakes, dry cereal, Smore's Trail Mix and our favorite Nutty Skillet Granola. The granola is perfect by itself or added to yogurt. My kids love fruit snacks, so I've been buying the Mott's Medleys fruit & vegetable snacks. These seem to be a favorite in our house right now. A few other treats my kiddos like to pack are fruit and cereal bars, animal crackers, mini cookie pouches, graham crackers, granola bars and homemade muffins. The top two muffin choices are my Zucchini Bread Muffins & Carrot Spice Muffins. 3-4 mini muffins fit perfectly into a small snack size zip lock bag. I like to prepare the muffins in advance usually on the weekends and freeze them. This way they're easy to grab and toss in their lunch box. By the time lunch rolls around the muffins are completely thawed and ready to eat. 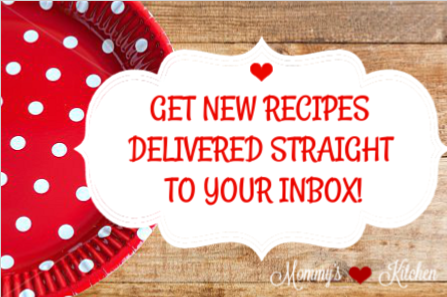 A few other homemade favorites are Banana Chocolate Chip Muffins, Blueberry Muffins and Black Bean Brownies. The other day I saw some Healthy Apple Oat Bran Muffins from a fellow Walmart Mom that I can't wait to try and add to our rotation. 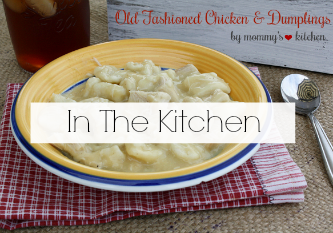 While on Pinterest last week I also came across two other recipes I want to try. The first one is for Homemade Cereal Bar Cookies and these yummy looking Chocolate Chip Granola Bites. I think both of them will be a big hit with my kids. Another must have snack treat in our house is these Healthy Peanut Butter Balls. 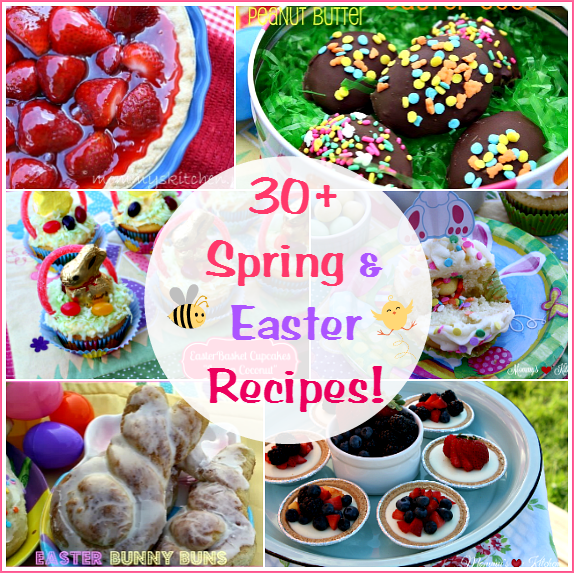 I usually have to make up a batch every other week, because my kids and my husband like to take them in their lunches. For drinks I tend to use the juice boxes that are 100% juice. We recently tried the Capri Sun Super V's (Fruit and Vegetable Juice Boxes) and my kids loved them. You can freeze the juice boxes or use a cold pack to keep the juice cold. If you freeze them this will omit the need for a cold pack and the juice boxes will be thawed by lunchtime. Frozen Gogurt yogurt sticks are another great item to freeze. Well that's it a quick run down of pretty much our lunch routine throughout the school year. 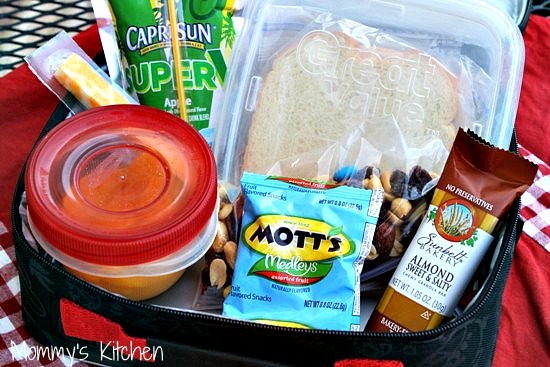 Do you pack lunches for school? If so I would love to hear some ideas that work for you. 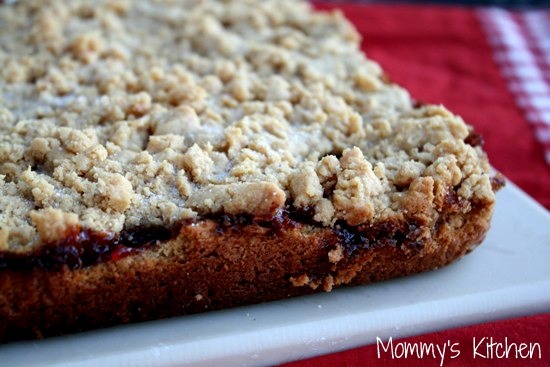 Before I go I wanted to include the recipe for the Peanut Butter & Jelly Bars from the beginning of this post. These will defiantly be making an appearance in a few lunch boxes this year. Preheat the oven to 350 degrees F.Grease a 9 by 13 by 2-inch cake pan. Line it with parchment paper or foil, then grease and flour the pan. Spread 2/3 of the dough into the prepared cake pan and spread over the bottom with a knife or offset spatula. Spread the jam evenly over the dough. Drop small globs of the remaining dough evenly over the jam. Don't worry if all the jam isn't covered; it will spread in the oven. Sprinkle with chopped peanuts and bake for 45 minutes, until golden brown. Cool and cut into squares. I'm part of the Walmart Moms Program. Follow me and my fellow Walmart Moms and our ideas. Walmart has provided me with a gift card and compensation for my time and efforts in creating this post. Participation in this program is voluntary and opinions stated above are entirely my own. Yes it is great ideas! I was thinking about back to school treats and it sounded me nice! I have a question about your homemade apple slices. Do you slice the apple and then soak for 10 minutes? Or do you soak the whole apple for 10 minutes and then slice it? My kids will love this one, so I want to make sure I do it right! WOW Tina - these are some awesome options!! Love the photos of the cookie bars...MMMMM! You slices the apples first and then soak them in the lemon lime soda for 10 min. I will go back and fix that part, because it does look misleading. We have been doing it for a couple weeks now and it really works. 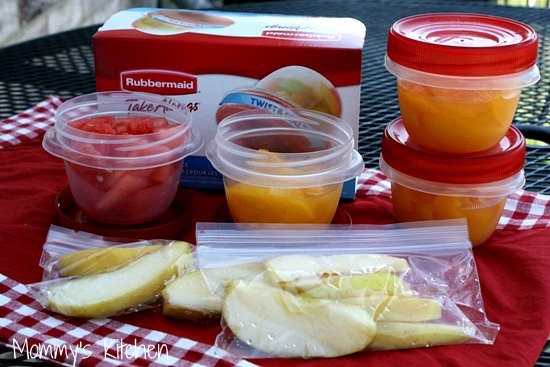 I sliced up some apples in the morning, soaked and added to snack size zip lock bags and placed them in the fridge. 7 hours later they still were not brown. Plus the apples still tasted like apples. : ) I'm loving this new tip. 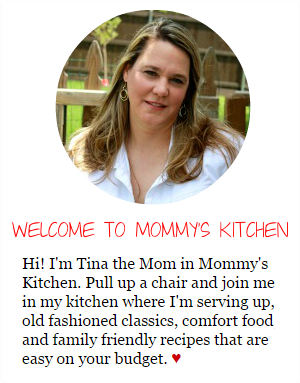 Thanks for sharing my Apple Oat Bran Muffins, Tina! As for the apple slices, another alternative is to dip them in pineapple juice if you're not crazy about the tartness that citrus can add. I recently found your blog by looking up lunch ideas for kids. I came across your back to school lunch ideas from last year. I bought all the containers you suggested and made my kids the "homemade lunchables". They absolutely loved them! Thanks for the tips! I have been recommending your site to everyone I know! Thank you so much Christina. I'm glad the back to school ideas are helping. They are a lifesaver for me, so it's always nice sharing information on what works and what doesn't. I can't wait to try the muffins. I love your ideas! WishI could use them but my sons school has a no nut rule and it seems like everyone always uses nuts of some sort. Guess I have to make these for after school snacks. Do you have any ideas of how to keep a grilled cheese warm for lunch? My son loves them. 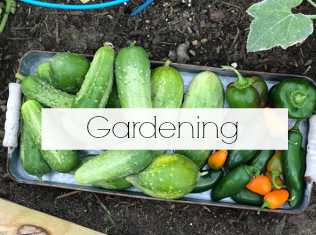 I love your blog thanks for sharing your knowledge. Thank you so much for the wonderful lunch tips. I'm not very creative when it comes to packing my childrens lunch! i so needed this. 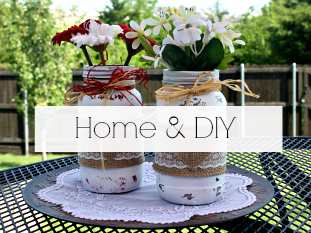 Some great ideas here! Thank you for the inspiration. :) Also, now subscribing. Looking forward to future posts! Slice the sandwich into sticks and put in a thermos- keeps it nice n toasty! Love all of these!!! I packed my daughter who is kindergarten, lunch today. I did it "Bento style". I came across your blog while searching for "homemade fish sticks" ideas. 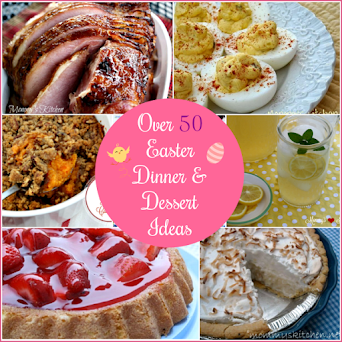 I will be using some of these recipes. Ill be baking and freezing banana nut and blueberry muffins this weekend. I can't wait to ready more post from you!!! Thank you, thank you, THANK YOU!!!! My little is starting kindergarten and I wanted to be able to send heathly, cheap food that she would like for lunch. Your blog has really helped put me on a great path! Can't wait to go shopping now! I was just wondering what the best way to freeze the muffins were? Thanks, love all your ideas! Can I use regular creamy peanut butter instead of using natural one? If so is there gonna be BIG difference?? Yes you can use regular peanut butter. Natural is just better for you, but it will not change the recipe.